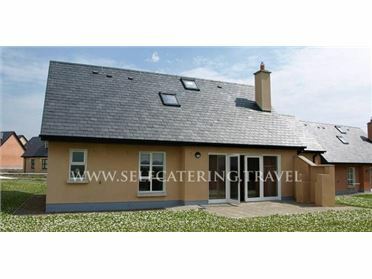 Byre is a heart-warming cottage located by the village of Shillelagh, County Wicklow. Hosting two bedrooms; a double, and a twin, along with a shower room, this property can sleep up to four people. Inside you will also find an open-plan sitting, kitchen and dining area. To the outside is off-road parking, and a gravel area with a patio and furniture. Guests also have access to a shared games room, a playground with slide and swings, as well as barbecue facilities and six acres of garden. Resting in a wonderful setting with an abundance of charm, Byre is a fabulous cottage in a much desired part of Ireland. Oil central heating. Electric oven and gas hob, microwave, fridge, dishwasher, TV with with multichannels & radio, WiFi, selection of books, games and DVDs. Fuel and power inc. in rent over summer. Bed linen and towels inc. in rent. Cot and highchair. Off-road parking. Gravel and patio area with furniture. BBQ. 6 acres of garden. One well-behaved pet welcome. Sorry, no smoking. Shop and pub 1.4 miles. Note: Laundry room with washing machine and tumble dryer. Note: Guests have access to a shared games room and a playground with slide and swings. Note: Property has an additional fuel charge between November - February, this is payable to the owner.